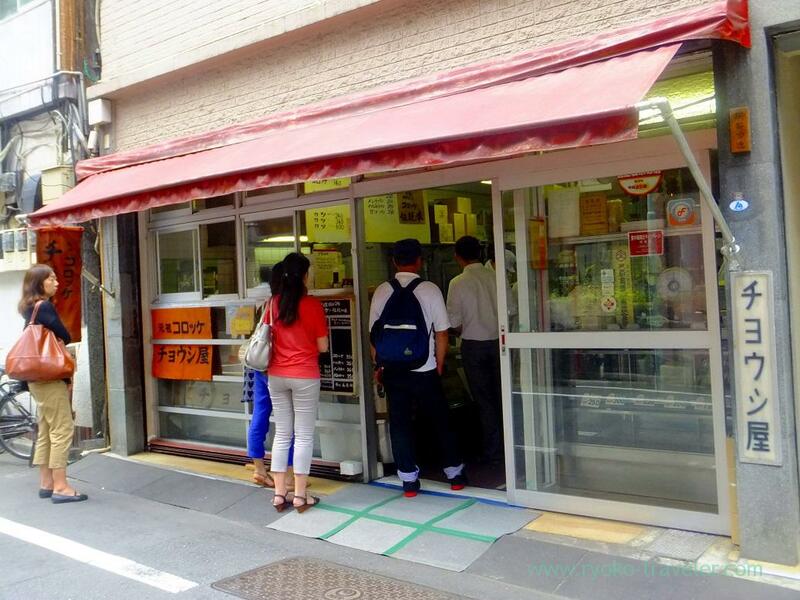 I knew there is a croquette shop near Higashi-Ginza station that is very useful for people who works around there. It’s very close to Persil that is my favorite bistro. 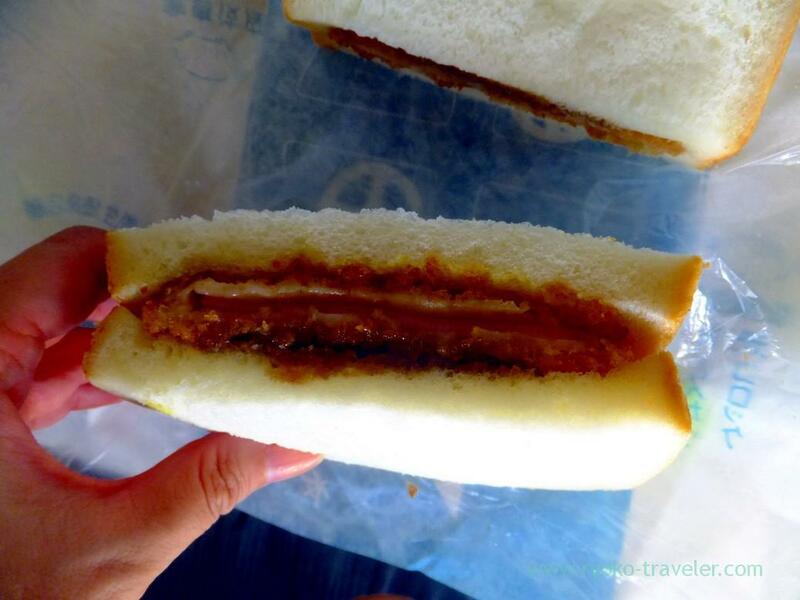 The shop sells freshly-fried croquette and cutlet , and sandwiches with those deep fried foods on breads or hot dog buns are popular. 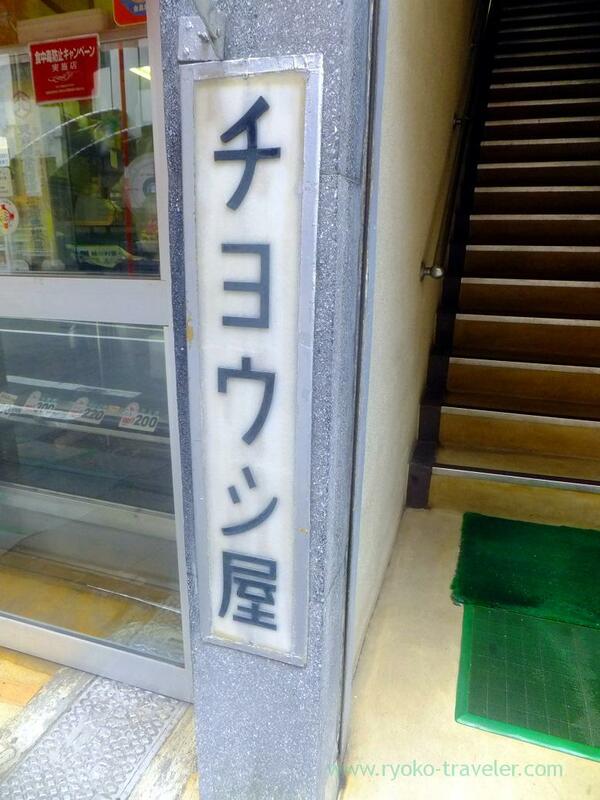 But it is hard for me to visit the shop because the shop open only weekday, and until 6 p.m.
Well,,, so old signboard …. Something cool. I ordered a ham cutlet sandwich (ハムカツサンド, 250 yen). Truthfully speaking, I wanted to eat it at once because it had so yummy smell. But I had already lunch, so I took it to home with patience. Also, the shop have no space to eating. As soon as I reached home, I opened the package ! 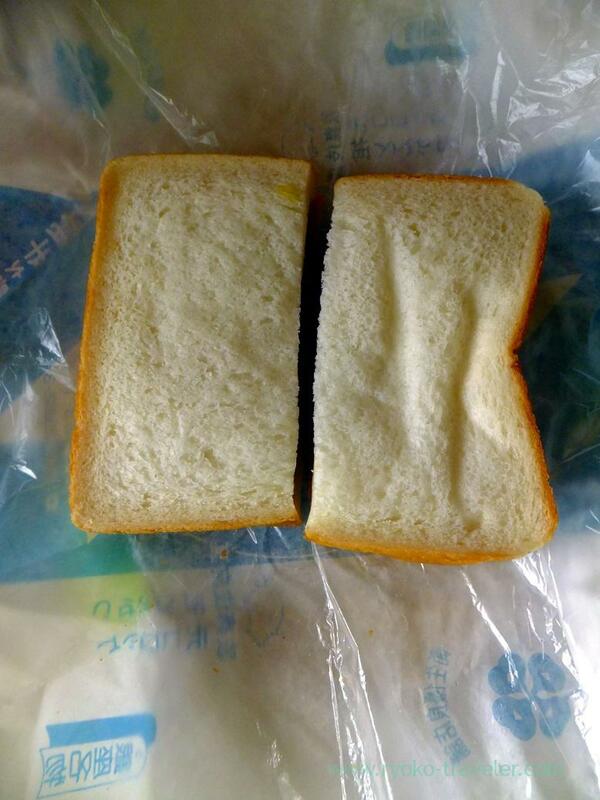 I saw the chef make the sandwich close to. To be honest, I thought that it is natural that cutlet sandwich have much shredded cabbage between breads. Though, I ate it and understood. Thanks to no cabbage, the cutlet had still crispy texture even after the passage of time! Well, I think so 🙂 And they surely know it.